Employee advocates on both the city and state levels say family and parental leave is a next top priority, with some business groups saying they want to avoid a patchwork of local measures. After last year’s successful efforts passing a minimum-wage and sick- leave initiative statewide, and a scheduling law regulating large retail- and food-service establishments in Seattle, workers’ advocates are now turning their focus to family and parental leave. 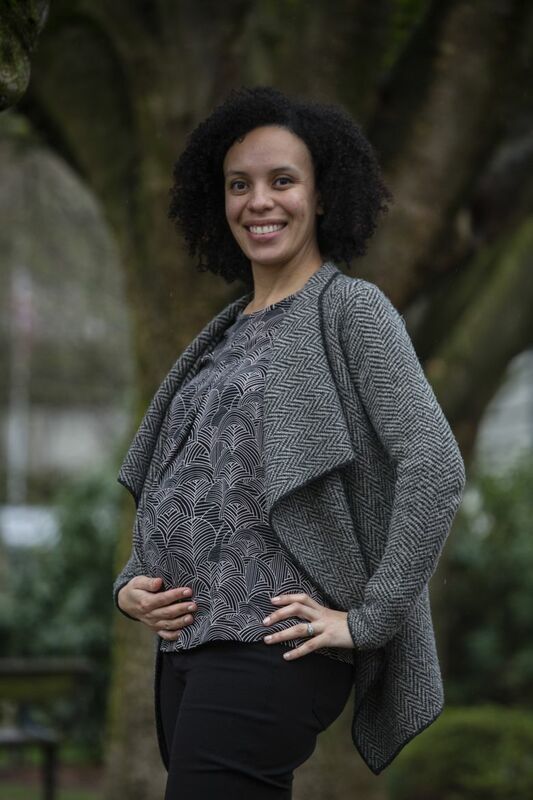 Efforts to craft a parental- and family-leave law are underway in the state Legislature, while Seattle City Councilmember M. Lorena González plans to introduce Wednesday a proposal for a leave law that would cover all employers within the city. And, at least for the statewide legislative solution, there is support from some business groups. “Passing something at the state level would be easier than having a patchwork of cities having their own paid-leave laws, which we’ve seen happen in the past on several issues,” said Stephanie McManus, a spokeswoman for the Washington Hospitality Association. In the Legislature, there are two competing bills, one introduced by Rep. June Robinson, D-Everett (with a companion bill in the Senate), and the other by Sen. Joe Fain, R-Auburn. Negotiations are beginning now to try to reach agreement, perhaps somewhere in the middle, as well as to gather input on areas not covered by the bills, the legislators said. Both say they’re hopeful that agreement can be reached on the issue this year, unlike in past years. In 2007, for instance, the Legislature passed a family-leave bill for new parents — but it was never funded, so it never took effect. Robinson’s bill is more generous to workers. By late 2019, it would call for up to 26 weeks of leave for a birth or placement of an adopted or foster child, a family member’s serious health condition or a military exigency; and by late 2020, up to 12 weeks of leave for an individual’s own serious health condition. For lower-income workers (those making less than 50 percent of the state’s average weekly wage), it would provide up to 90 percent pay while on leave, while higher-income workers would get 90 percent up to a certain level, and 50 percent after that. Benefits would be capped at $1,000 a week. Employers would pay premiums but could deduct up to 50 percent of the premiums from the employee’s pay. Sen. Fain’s bill, meanwhile, calls for up to eight weeks of leave in 2020 and 12 weeks by 2023. Benefits would be phased in: In 2020, employees on leave would receive 50 percent of their average weekly wage, not to exceed 50 percent of the state’s average weekly wage, up to $595 a week. In 2023, they would receive 67 percent of their weekly wage up to 67 percent of the state’s average weekly wage, capped at $725. Employees would pay the premiums. The Association of Washington Business said it supports a legislative solution. The Washington Food Industry Association, meanwhile, is “keeping an open mind on proposals that implement a paid family-leave policy in the Legislature” and would rather see that than more “extreme” alternatives that might arise in various cities or through ballot initiatives, said Jan Gee, president and CEO. Currently, Washington state’s family-leave law hews closely to the federal Family and Medical Leave Act of 1993 (FMLA). Both provide job protection for employees who take up to 12 weeks of unpaid leave for qualified medical and family reasons including pregnancy, adoption, foster- care placement, and to care for ill family members. They both apply to employers with 50 or more employees. The city of Seattle last month passed a law giving city government employees up to 12 weeks of paid parental leave, and up to four weeks of paid leave to care for family members with serious health conditions — all at 100 percent pay. The city law does not apply to other employers or employees, however. Councilmember González’s proposal, which she intends to introduce Wednesday at a committee meeting, would cover all employers and employees within the city. Her proposal would give employees up to 26 weeks of paid family leave to bond with a new child or care for a seriously ill family member, plus 12 weeks of paid medical leave in the event of a serious personal illness. It’s more generous on some provisions than the Robinson bill, providing for 100 percent payment of wages during leave up to a maximum of $1,000 per week, with employers paying 70 percent of the premiums into a city fund. “The need for families in Seattle is so significant, especially as we consider that Seattle is one of the most expensive cities in the state,” she said. She cited a recent city-sponsored survey of Seattle employers that showed half do not offer any paid parental, family or serious medical personal leave, and that 56 percent favor having a universal paid family-leave program in Seattle. But González is actually hoping the state passes legislation this session. Her proposal is intended to show what the city might push for if the state doesn’t come through. Zandrea Harlin, a Seattle resident and nurse at Kaiser Permanente who lives on Capitol Hill, would also prefer to see the state do something. Harlin, who is pregnant, said she was able to piece together a plan to take about four months off after she gives birth, stitching together state and federal family-leave laws, along with her employer’s sick leave and personal time-off benefits. “But it ends up being a sort of a patchwork of things to try to navigate and put all together, and figure out how much time you can afford to take, how you can take it, and what the pieces and elements are,” she said. Harlin, who is a member of MomsRising.org, which advocates for maternity and paternity leave, said her husband will take unpaid time off, probably through his federal medical-leave benefits. “What I’d really like to see is, on a state level, that we have some kind of unifying policy” that doesn’t take as much time and effort to figure out, Harlin said.